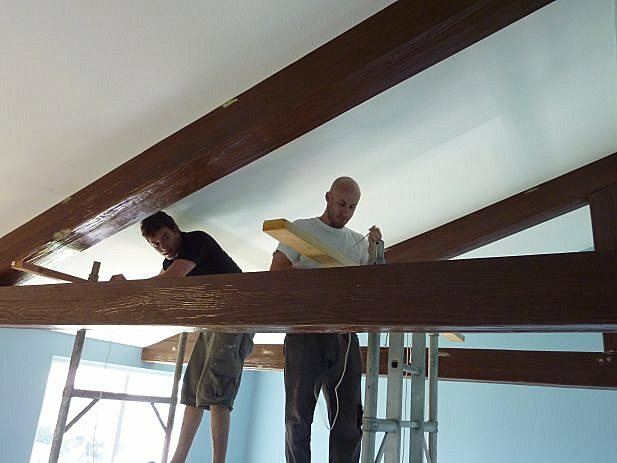 A friend of ours came over to help M install faux beams on the ceiling and whenever someone comes over to help with a project my job is to make sure they are fed. That day I kind of felt like chicken salad but there was one problem. Our friend is Vegan. 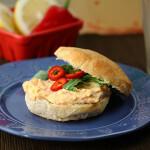 So, inspired by chicken salad, I whipped up this ah-mazing chickpea salad instead! 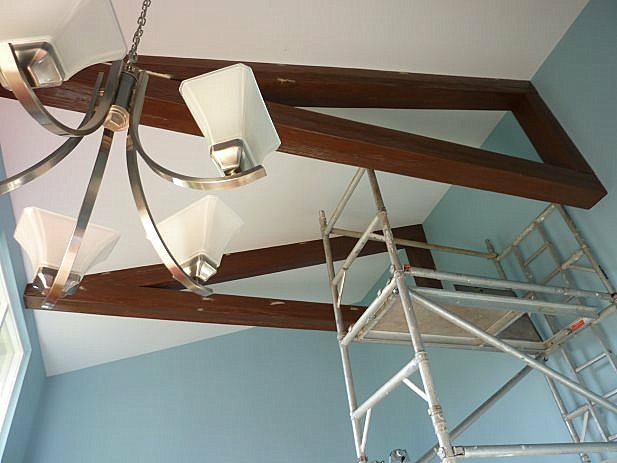 It was a huge project – much more involved than we were expecting, but isn’t that always how it is? Packed with fiber and a good amount of protein, these sandwiches kept the boys going all afternoon. 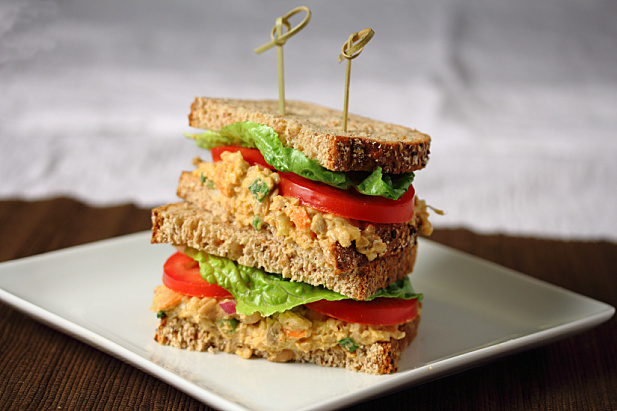 Whether or not you follow a vegan lifestyle, these sandwiches will certainly satisfy your appetite. M asked for them again already verifying they are meat-lover approved! 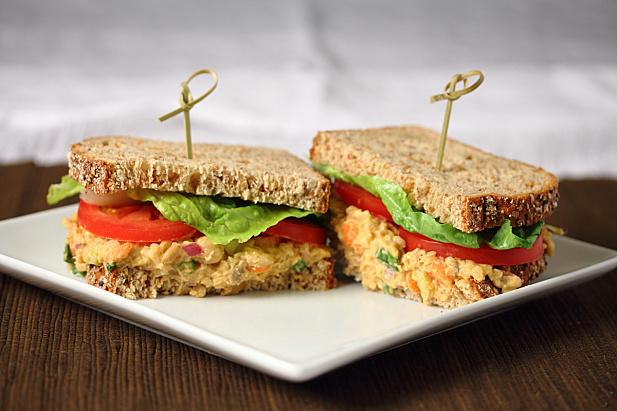 *Nutrition facts calculated based on using whole grain bread at 110 calories per slice. In a medium bowl, lightly mash the chickpeas with a fork. 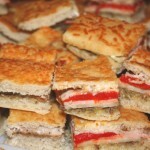 Add the remaining ingredients with the exception of the bread, tomato & lettuce and stir well to combine. 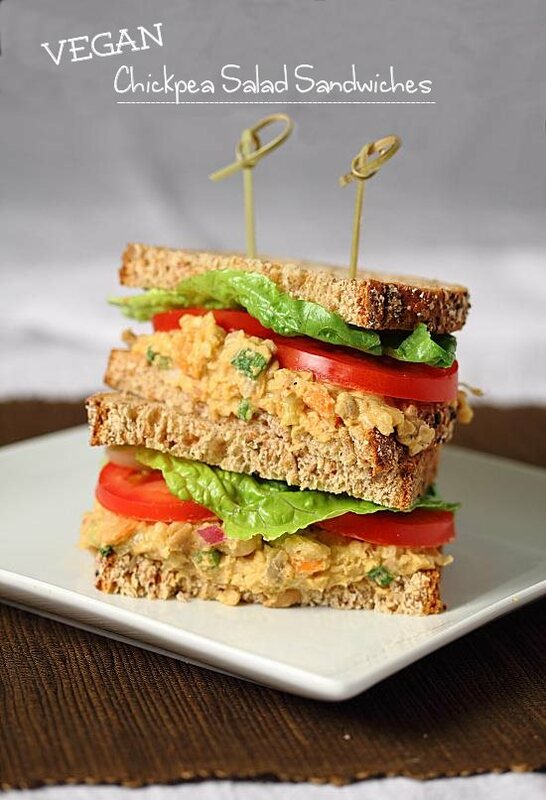 For each sandwich, spread a thick layer of the chickpea salad on one slice of bread and top with tomato, lettuce and a second slice of bread. You are the best hostess, whipping up a vegan meal like this! These look amazing! 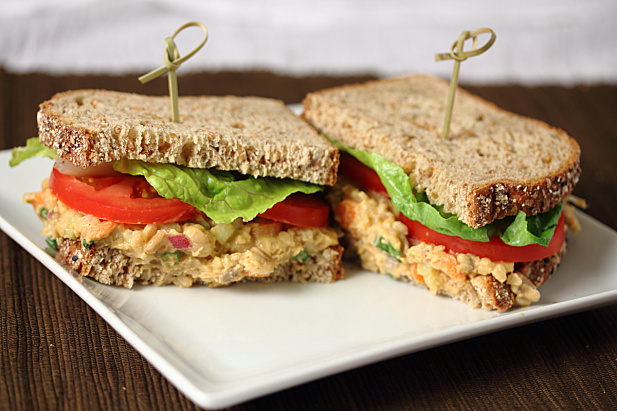 I love chickpea salad sandwiches, and I love that this recipe doesn’t call for “vegenaise” or anything like that! Thanks, Claudia! 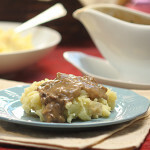 When I make vegan dishes I try to stay away from substitutions for conventional ingredients and stick to real food. 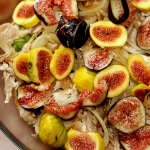 There is such an abundance of delicious vegan-friendly foods that I’d rather be true to that.